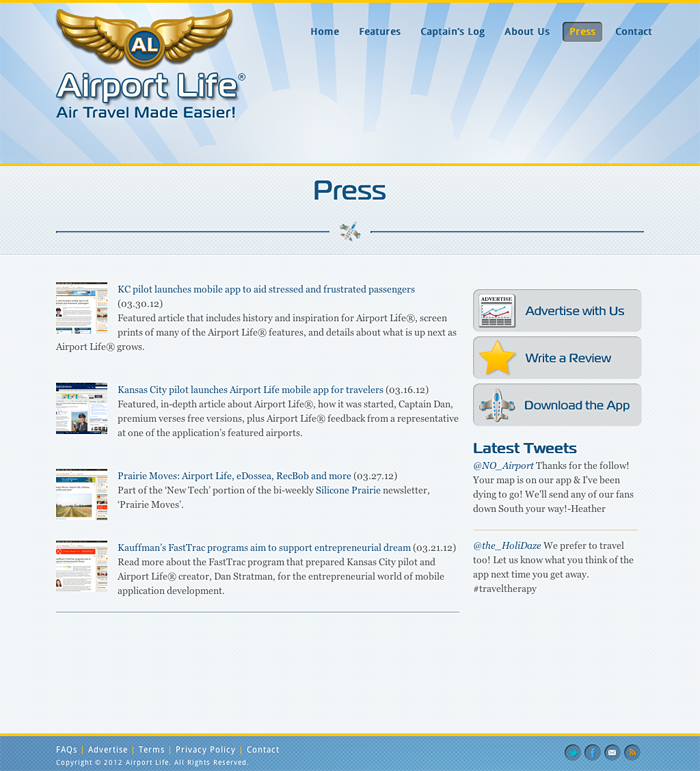 AirportLifeApp is a great iPhone/iPad and Android application for people who travel frequently. 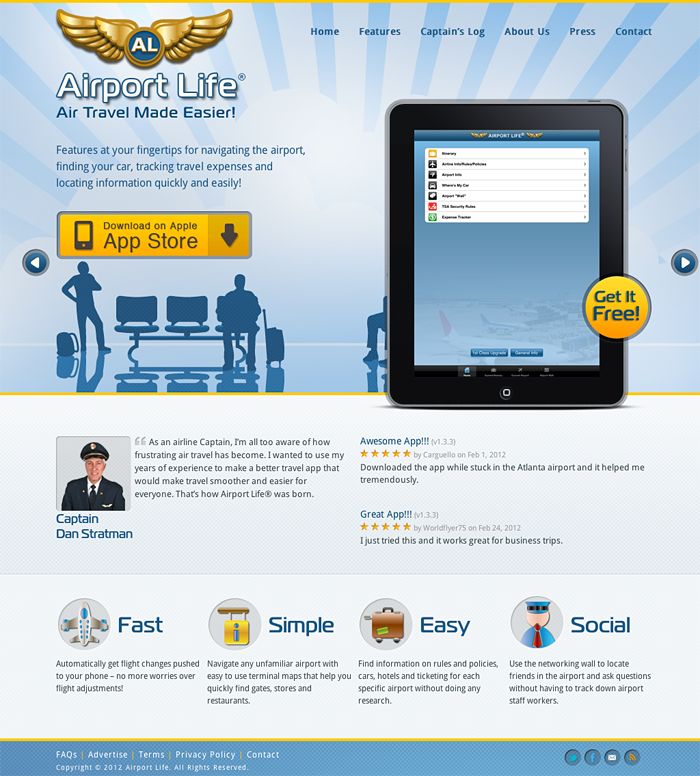 Created by Captain Dan Stratman, a real Delta pilot, it can help solve all sorts of problems passengers typically have such as getting lost in an airport or having a flight change on them without knowing it. 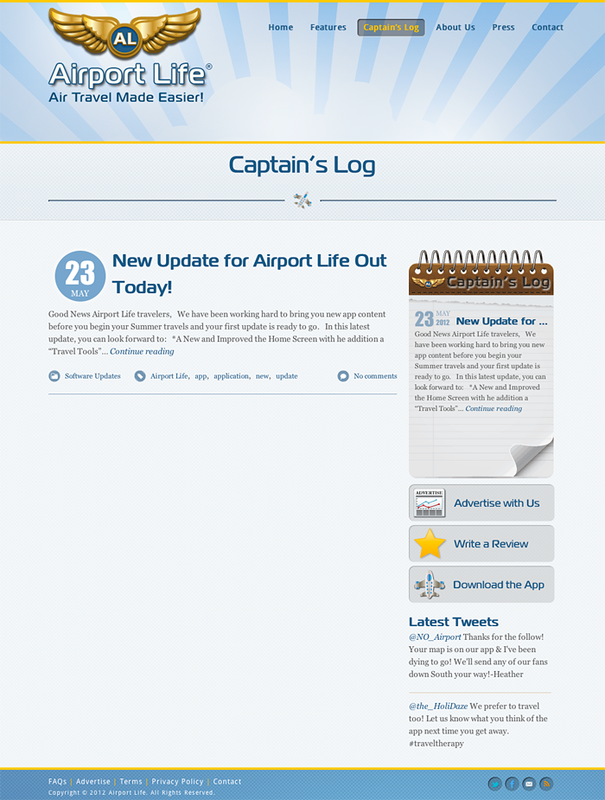 We redesigned his digital branding to coordinate with this redesigned WordPress website and provided social marketing, blog posts and visibility online under a short marketing agreement. 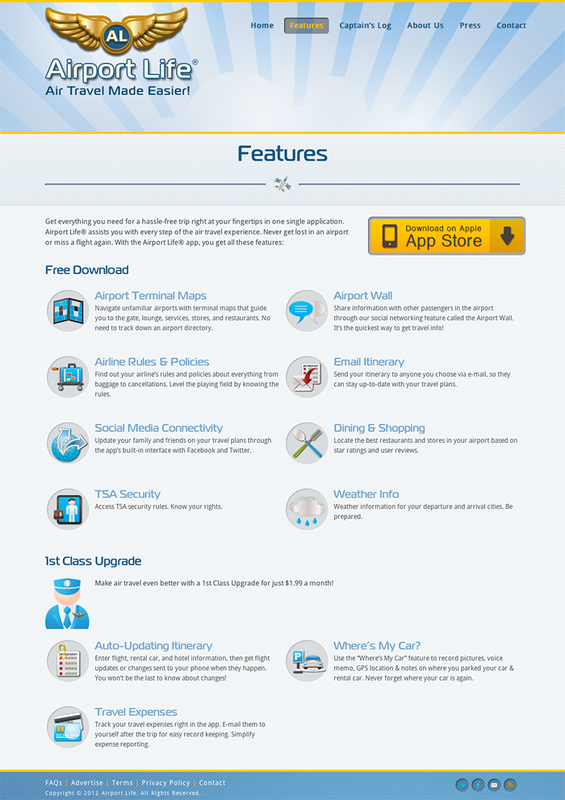 The WordPress site is his hub for app updates, helpful travel posts and information about the company.